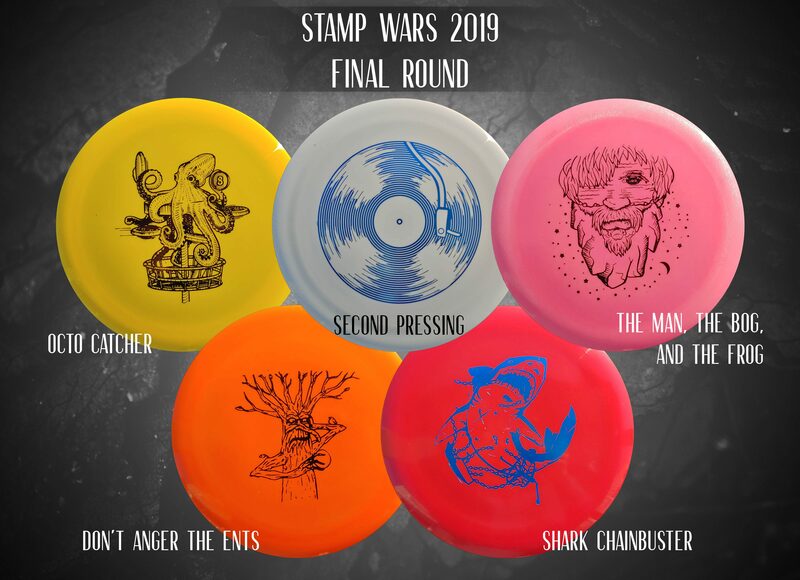 The Stamp Wars 2019 journey has been a fun one, from the submission process in November 2018, to the voting in December, to the final sell-off of the top 5 designs in February. Now the end is near! 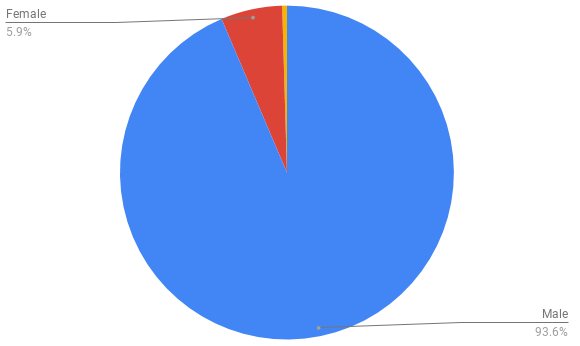 “Octo Catcher” is holding onto the lead, but at the moment of this posting is only 10 discs ahead of “The Man, The Bog, and the Frog.” We’ve also seen a lot of recent action from “Do Not Anger the Ents” which is only 15 discs behind 2nd place, and 25 discs behind the 1st spot. “Second Pressing” with its vinyl record design is 12 discs behind 3rd place, and “Shark Chainbuster” is taking up the rear. The winner of this final round will be determined by which stamp has sold the most by Friday, March 1st. 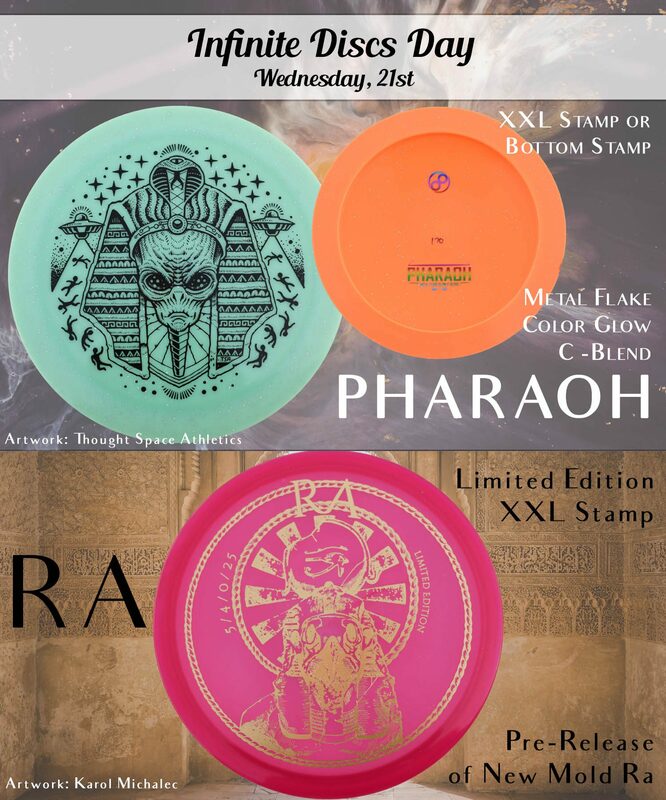 The winner will receive another gift card from Infinite Discs and will also show up on additional discs during the 2019 season. Thanks for supporting this fun event! 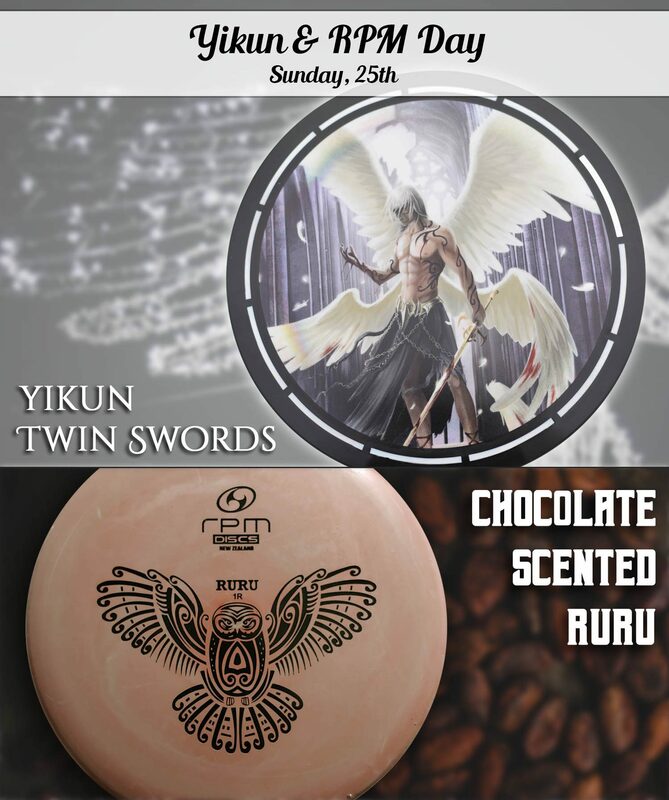 To start off, we’ll show off these four new incredible art pieces, available on the Full Foil Buzzz. We have the Grateful Buzzz, the Fire Buzzz, the Buzzz Saw, and the Sugar Buzzz. These discs can be found alongside the other Full Foil artwork here. 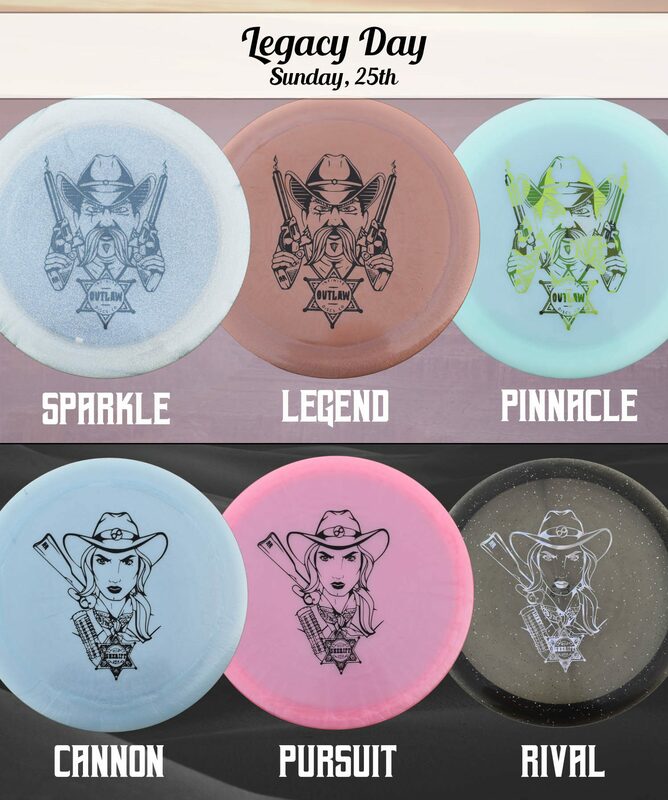 These discs look great on the wall or out on the course, glimmering in the sun. 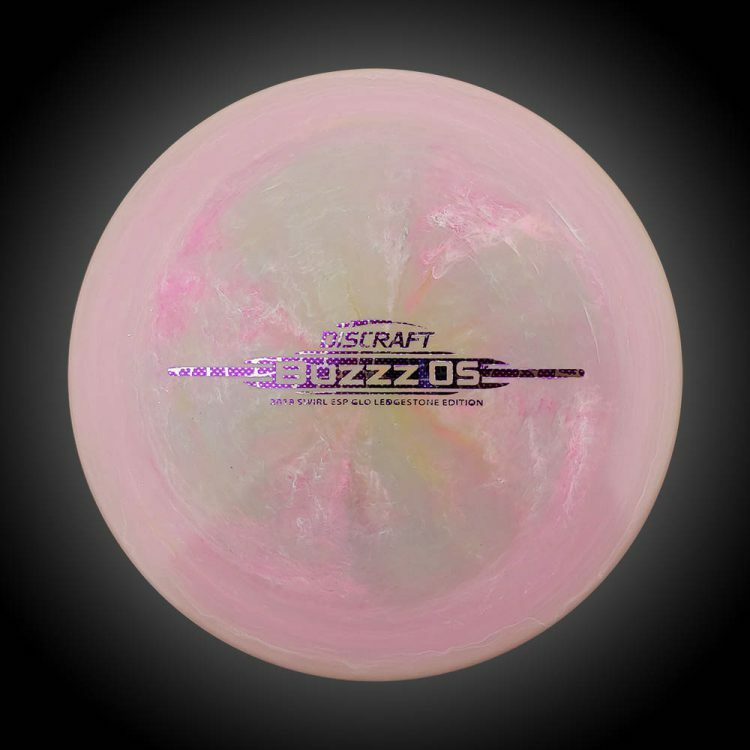 This the first time we’ve seen the Buzzz OS in Swirly ESP Glo plastic. This is a fairly new plastic that we don’t see a lot of molds produced in. 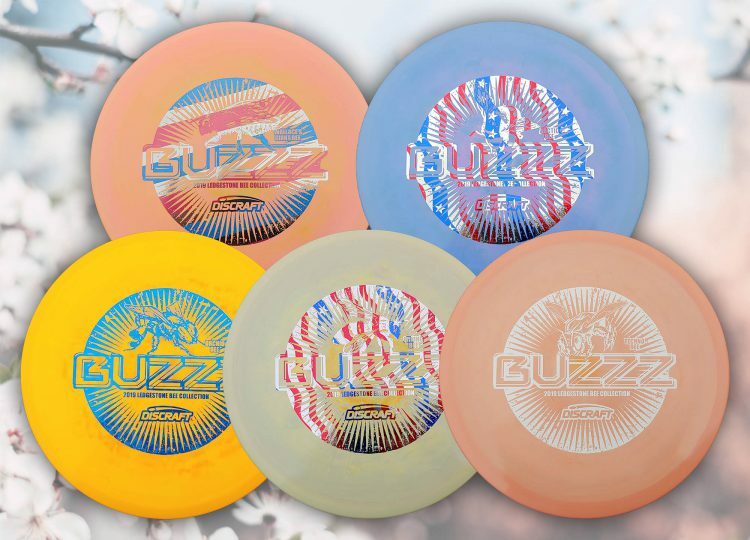 The Buzzz OS is an amazing mid-range disc that we are particularly happy to see made in this awesome plastic blend. 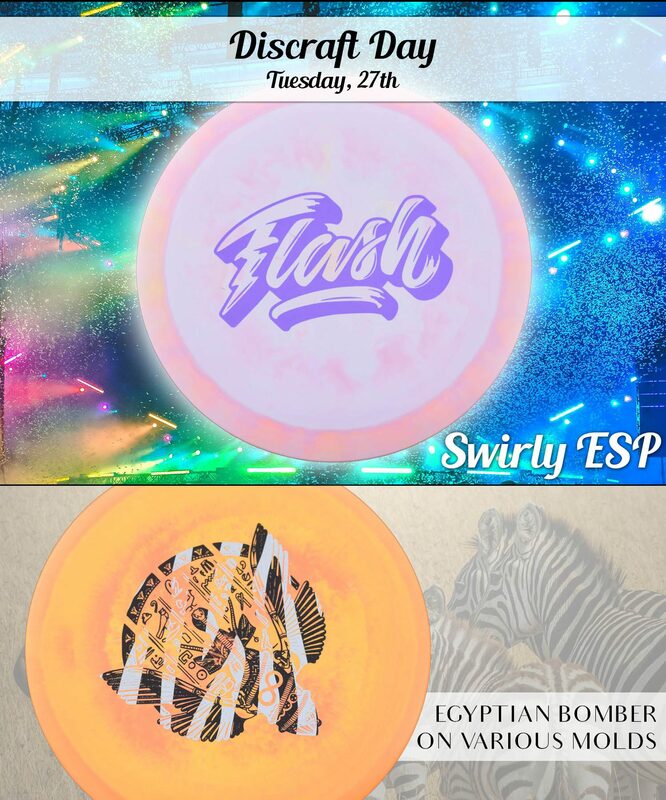 The Swirly Glo Buzzz OS can be found here! 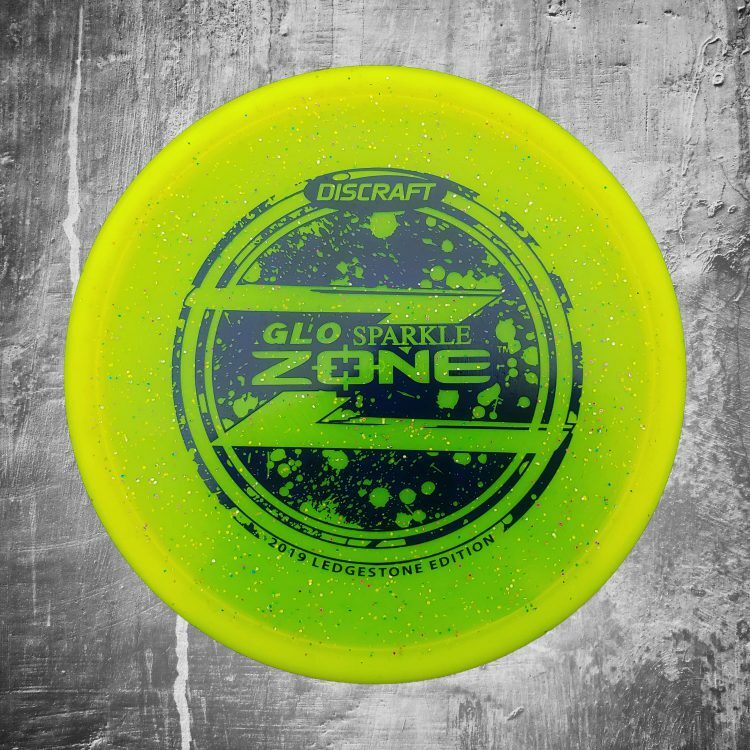 The Zone makes it’s debut in Glo Sparkle plastic in this round of 2019 Ledgstone discs. This is another new plastic for this ever popular mold. 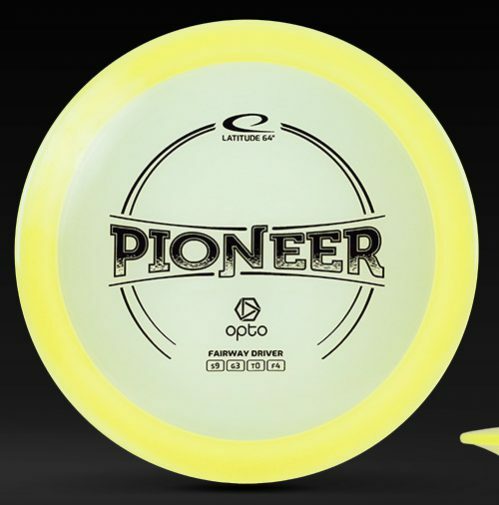 The Zone is the perfect overstable approach disc for all of your upshot needs. 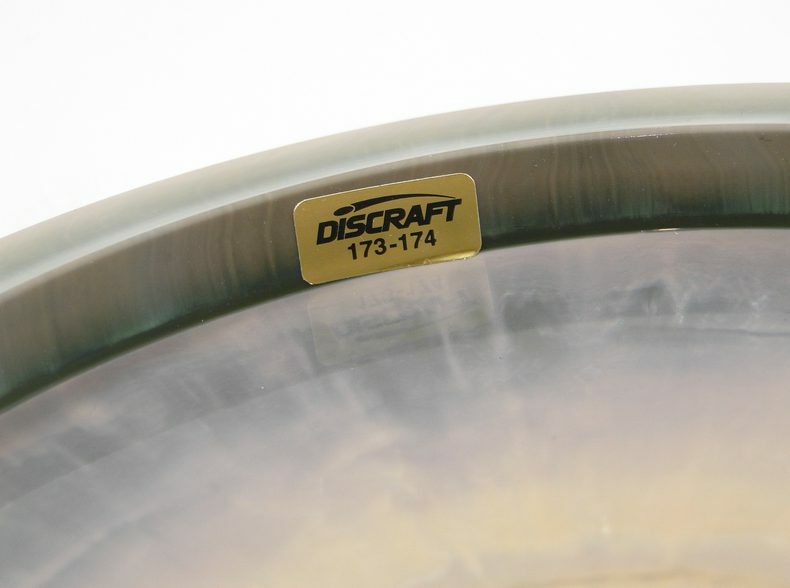 It’s trustworthy in all weather conditions, and is one of Discraft’s hottest sellers. See the Glo Sparkle Zone here! We’ve learned a lot about bee species lately with the Les White Bee Collection. The original bee collection was released in Swirly ESP plastic on the Buzzz. It then expanded to include Full Foil editions. Now, with the 2019 Ledgestone Discs, there are five new bees to add to your collection: The Arctic Bee, Wallace’s Giant Bee, Mining Bee, Techno Bee, and Orchid Bee. Paul McBeth has announced that the Force will be one of his main distance drivers in 2019. Subsequently, our sales for the Force have spiked as people want one in their hands to see what it’s all about. 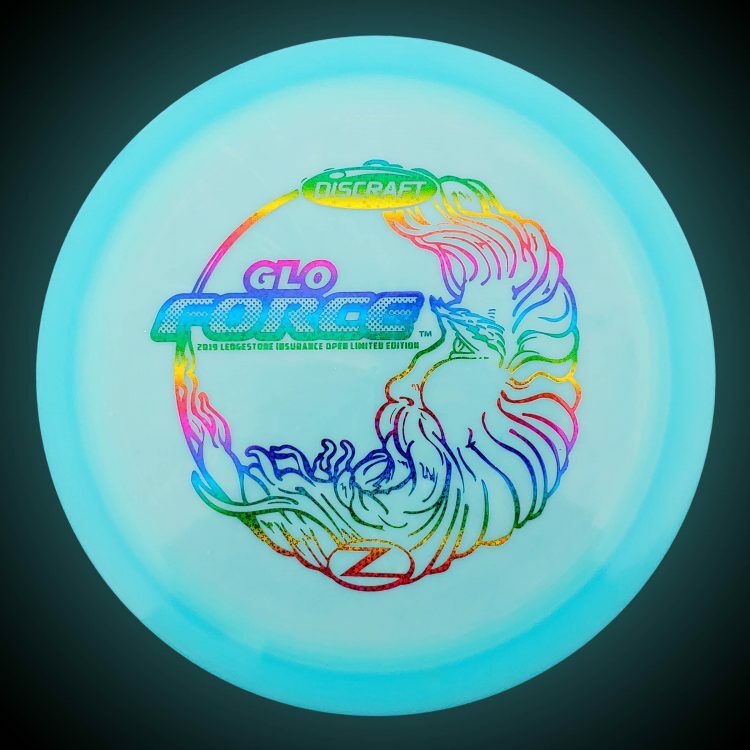 The Colored Glo Z Force is now available for the first time, allowing people to try the Force in a new plastic. 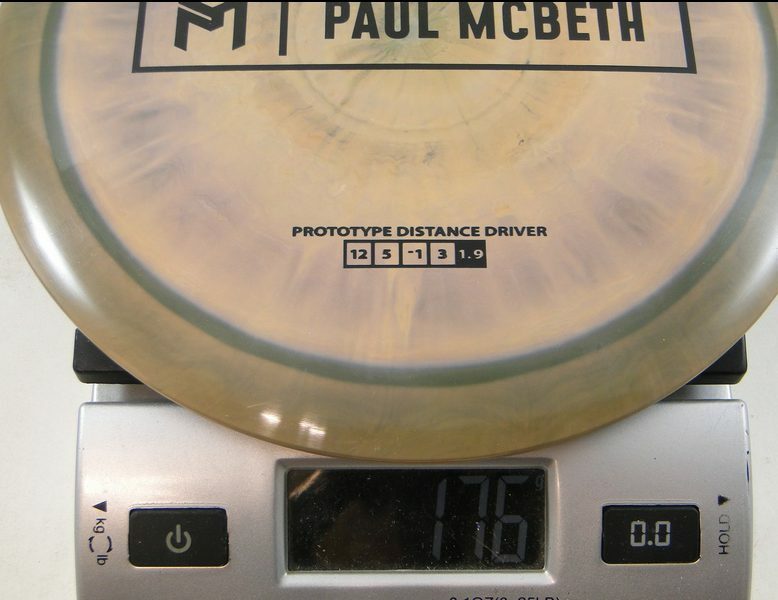 These look beautiful, and you can snag this distance driver here! The Crazy Tuff Challenger OS is another new plastic offering in the Ledgestone 2019 releases. This plastic is stiff and strong, hence the name Crazy Tuff. The Challenger OS is a flat topped, more stable version of the original Challenger. 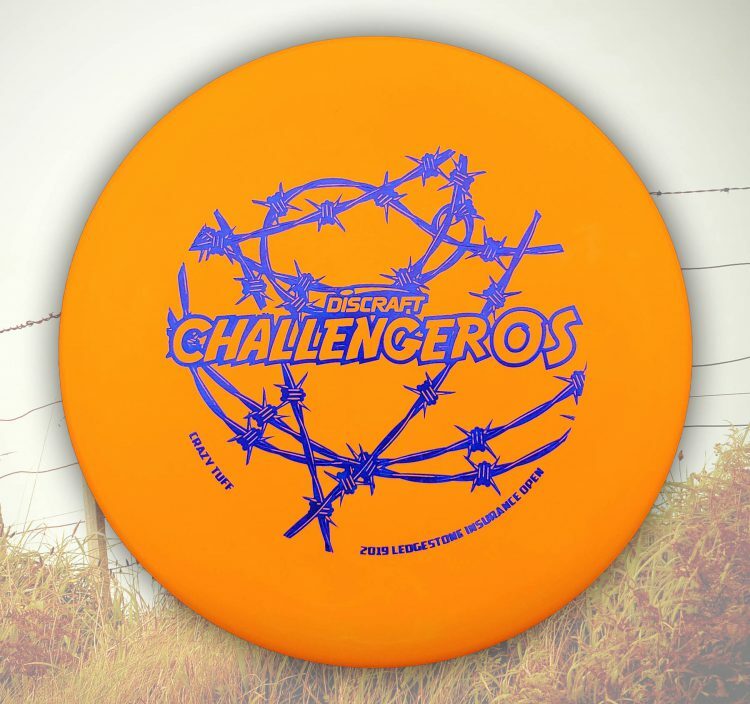 You can snag the Challenger OS here! 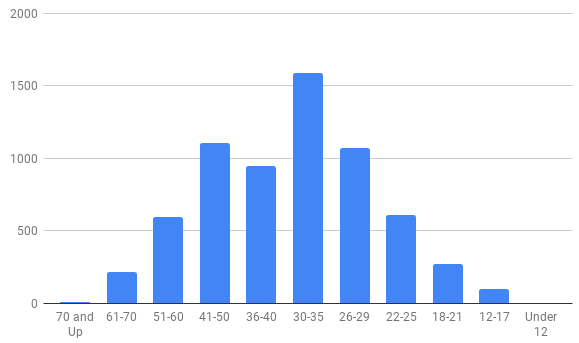 That is all for the first wave of 2019 Ledgestone Edition discs! 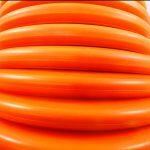 Let us know what you think would make a great plastic/mold combo in the comments, we would love to hear your ideas! 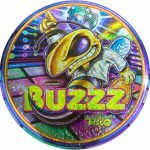 FULL FOIL BUZZZ — The most popular midrange disc is the Discraft Buzzz and this year they’ve unleashed a huge selection of Buzzz discs with beautiful FULL FOIL designs (full color images on foil that covers the entire top of the disc). 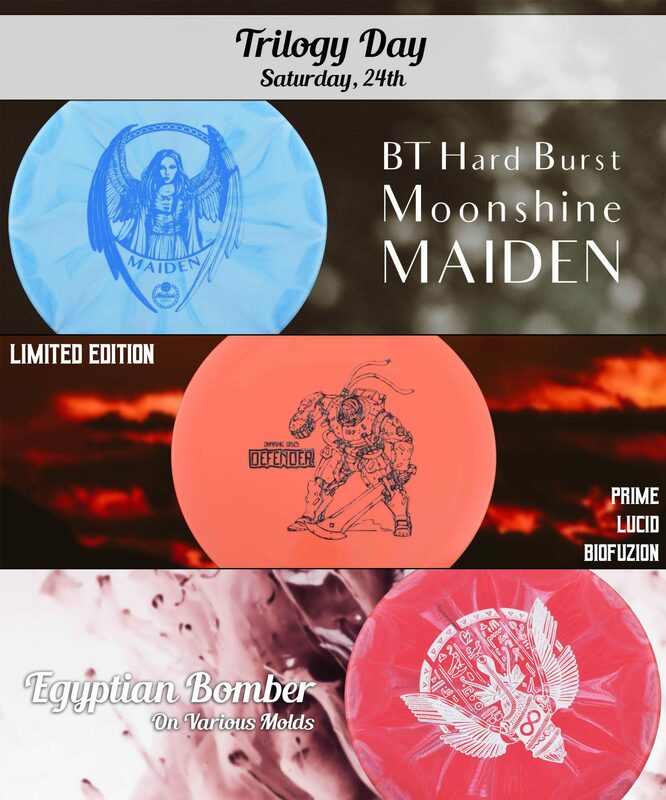 You can even get Star Wars licensed full foil discs now, along with several bee themed, limited edition discs. 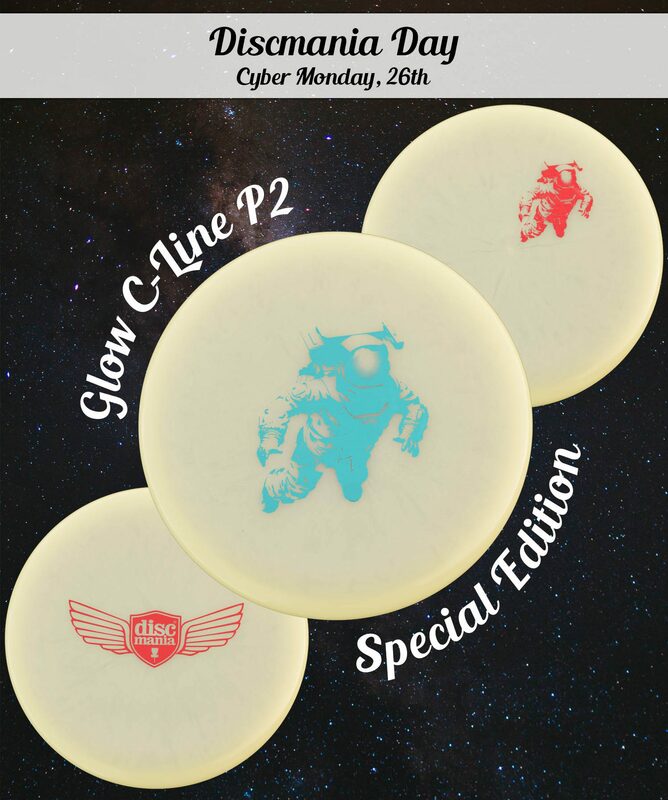 What disc golfer wouldn’t want a shiny, colorful disc as a gift? HOLIDAY EDITION DISCS — Several different brands make holiday edition discs. 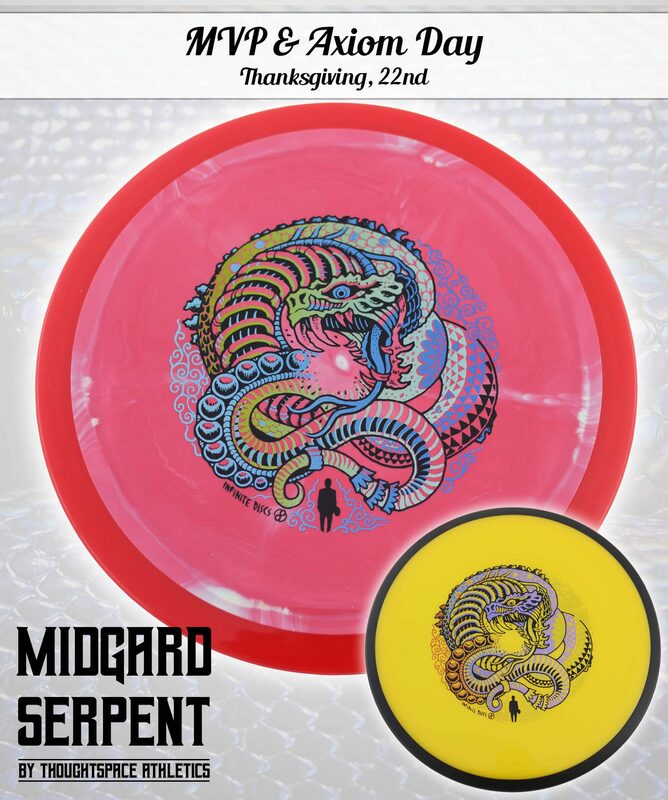 We have a lot of discs that were released as Halloween discs if your disc golfer prefers more of a spooky edge, no matter what time of year it is. 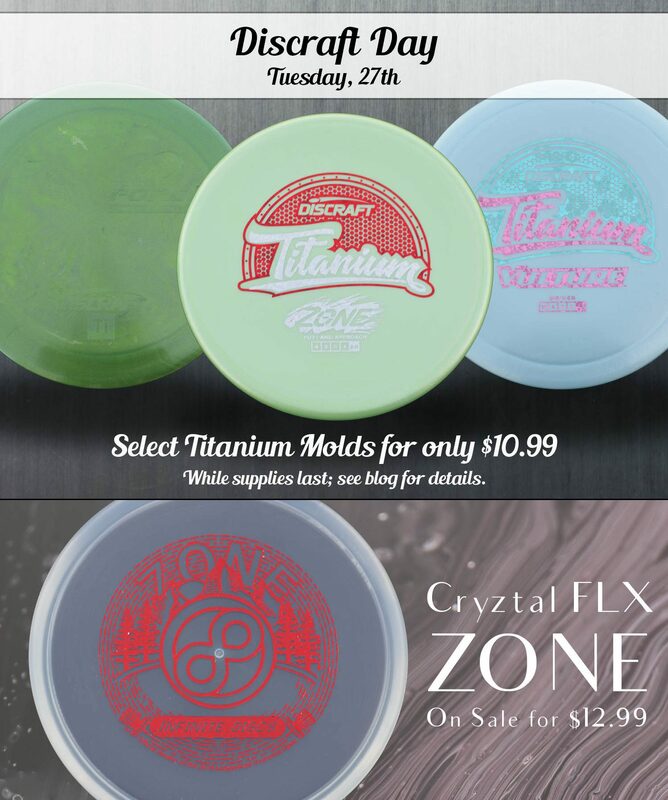 Or, if you want a “Happy Holidays” disc from Legacy, or a “Naughty and Nice” Teebird3 from Innova, we’ve got them. 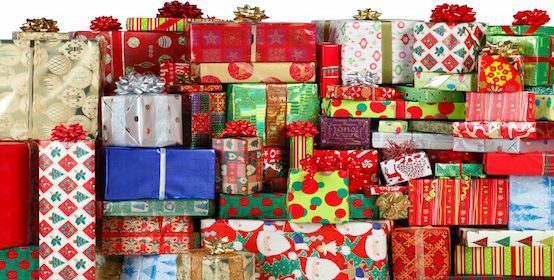 You can BROWSE THE HOLIDAY SELECTION HERE and filter by brand or disc type to find exactly what you like among the holiday editions. 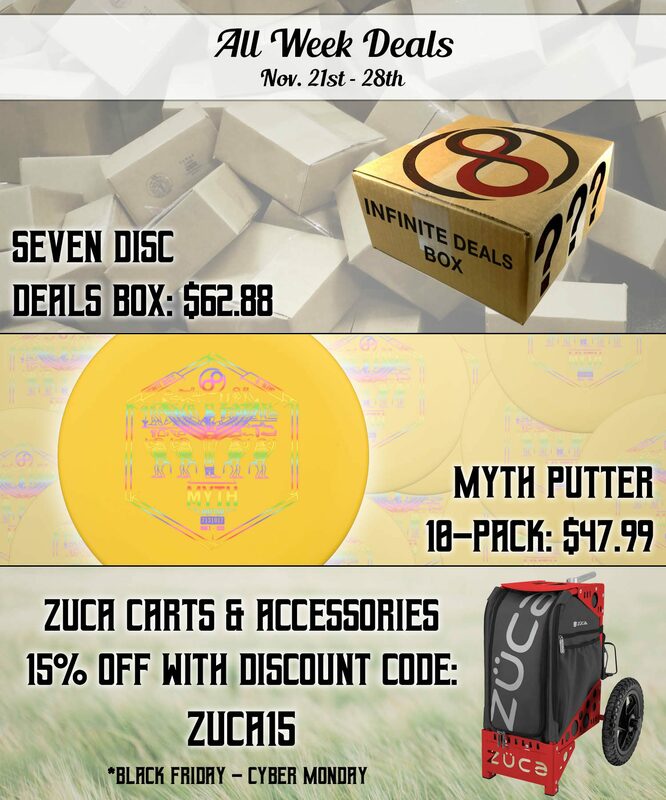 MYTH 10-DISC PUTTER PACK — We also have a selection available of 10-Disc MYTH Putter packs. The MYTH is a slick, beaded putter by Infinite Discs, and we’ve had so many customers ask for bulk packs of putters that we made these as a way for people to get a lot of practice putters for a very low price. Why do disc golfers need so many putters? Because putting is one of the most important parts of the game, and it is easier to practice when you’ve got a big pile by your side. ROVIC DISC GOLF CART — One of the newest disc golf carts this year is the ROVIC RV1D which was altered by a golf card company to handle the demands and needs of disc golfers. It puts the disc golfer’s bag on wheels and provides extra storage space for additional accessories. 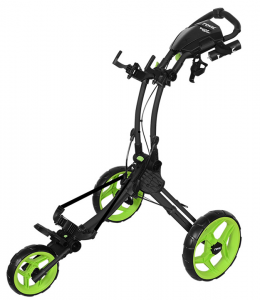 It also folds into a more compact size for storage and transport to the disc golf course. It comes in a few color combinations. 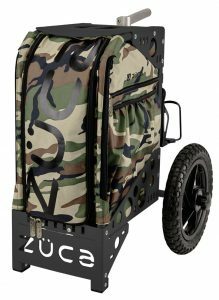 ZUCA CART — One of the most popular disc golf carts for the frequent disc golfer is the Zuca cart which is built to carry a maximum quantity of discs, provides a place to sit during long rounds, and carries a variety of accessories. There are also many other features which can be added to the Zuca cart, like padded seat cushions, more drink holders, putter pouches, and more. There are color combinations available for any taste. 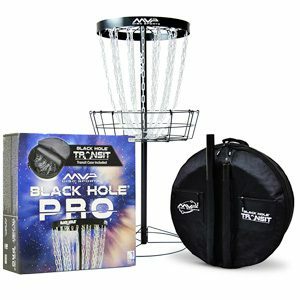 Black Hole Pro with Transit Bag — The Black Hole Pro is a very popular practice basket by MVP and this year they’ve added a Transit Bag as an easy way to carry the broken-down basket from place to place. Discraft Chainstar Lite — This is one of the newer portable baskets that is high quality with a few different color options to choose from. For your $150 range, this is one of the best options. Mach Shift 3-in-1 Portable Basket — This new basket offering from DGA is unique because it can be changed from a standard size that has double-layered chains, to a narrow putting practice basket, to a macro-basket for an even smaller target. For those who want to spend a little more for a variety of configurations, it is the perfect choice. DGA Mach Lite — This is our favorite and by far the best-selling collapsible basket. It is easily folded and transported inside a shoulder carry case, yet is very sturdy and well constructed. This year it was released in orange and green as new color options. 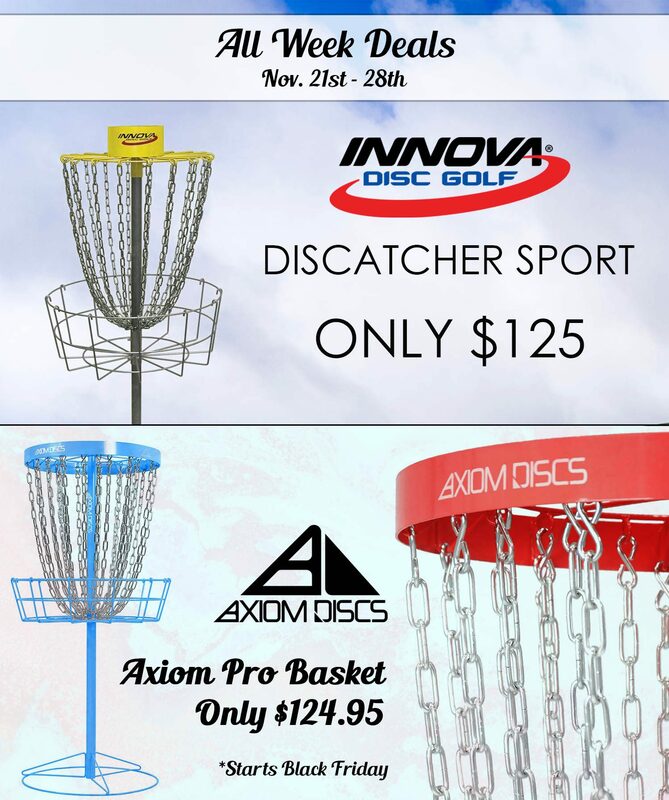 Discatcher Sport — This portable basket by Innova has sold a lot at the end of the year because it has been steeply discounted. Quantities are running low, so it is one of those “get it while it is cheap” deals that may not last through the end of the year. 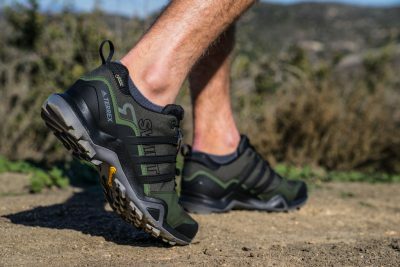 One of the newest items in our inventory at Infinite Discs this year is a nice selection of sturdy, high-quality disc golf shoes by Adidas Terrex brand. These are light weight, but sturdy outdoor shoes that were designed for handling all kinds of terrain, whether mountainous or groomed parks. They are also able to handle a lot of side-to-side torque that is inflicted upon the shoes of disc golfers when throwing discs at high speeds. The soles are high quality and very long-lasting, plus you can get the most popular models with GTX for extra waterproofing against rain or dew-covered grass so your feet don’t get wet. We’ve selected what we believe are the best shoes for disc golfers from the huge Terrex line. 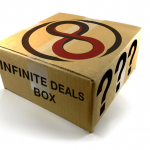 One of the most exciting things you can give to any hard-core disc golfer or disc collector is a one-year membership in the Infinite Discs VIP Club. 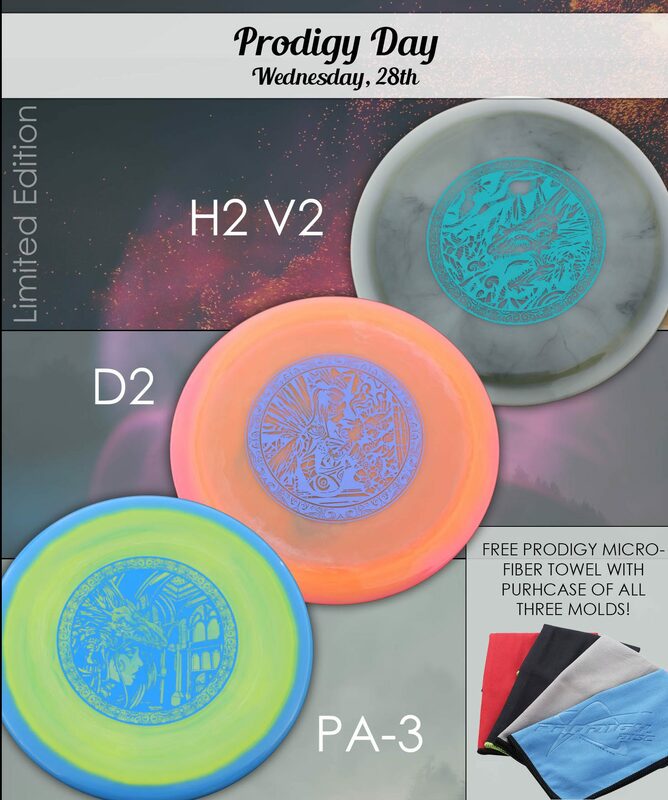 That way, the disc golfer you love will receive a unique, collectible disc every month, automatically, as well as discounts on the Infinite Discs website and access to exclusive releases in the VIP Club Store. 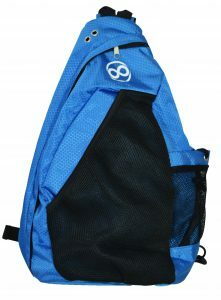 Infinite Disc Slinger Bag — The Infinite Disc Slinger is designed for affordability, ease, and comfort for quick disc golf rounds. It provides a quality bag option for beginners as well as experienced players who simply want to grab a dozen discs and hit the course. This is the perfect crossover between traditional shoulder bags and backpacks. You can throw it over your shoulder (the strap can be adjusted for whichever shoulder you prefer), carried in your hand, or slung across your body like popular sling bags. It is available in black or blue. Infinite Stealth Bag with Water Bladder — The Infinite Stealth Bag includes both a Stealth Bag and the 2.0 liter water bladder. This is the perfect solution for hot rounds on rugged terrain where you want to carry light but still keep hydrated. Never worry about the extra fluids when you’re in the middle of a long round, and don’t worry about lugging around a lot of weight. This bag is designed to travel light and fast. 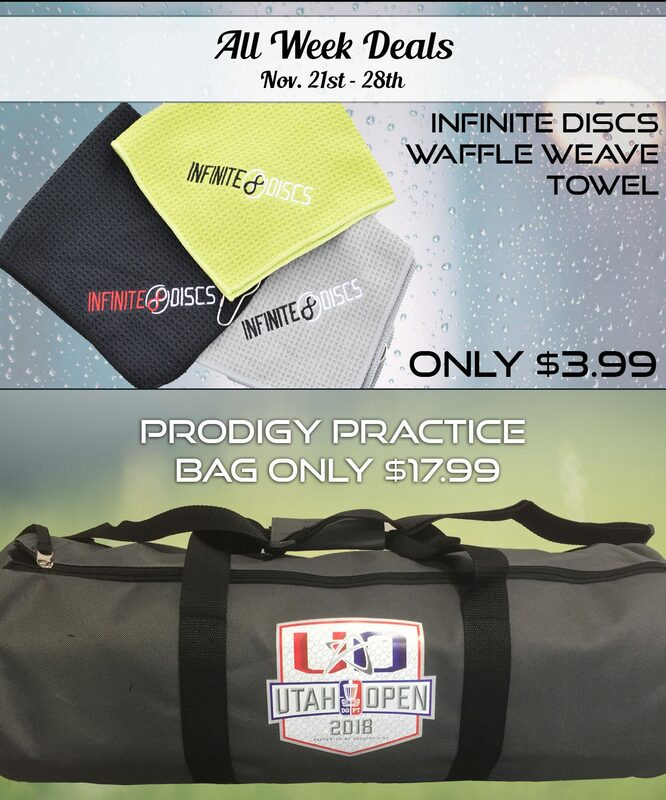 Large Selection of Apparel — Whether you’re looking for t-shirts, or sweatshirts, or jackets, or hats, there is a huge selection of apparel options from many brands on the Infinite Discs website. These choices fit any taste of budget. Check out those apparel options HERE. GRIP6 Belts — One of the hottest new apparel items for disc golfers this year has been the Grip6 line of belts. 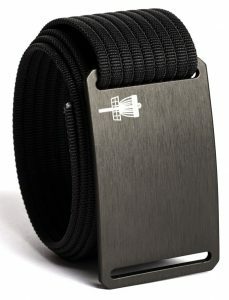 These are long-lasting, flexible belts that provide comfort as well as dependability. They are designed to last a lifetime. They come in several colors with different style buckles. You can pick a specific waist size, or you can select the “own size” option where an extra long belt can be cut and prepped for your own, specific size. DiscDiver Retriever — There is one thing certain, when it comes to the game of disc golf….if there is water present on the course, the discs will find their way into that water. The DiscDiver Golden Retriever is designed to help disc golfers drag the bottom of those pesky ponds and lakes to retrieve their lost discs. These are excellent tools that almost every disc golfer wishes they had at one point or another. These is also the slightly altered Disc Claw which accomplishes the mission nicely. Trooper Backpack — One of the most popular entry-level backpacks comes from Dynamic Discs. The Trooper has been a top seller for any player who wants an inexpensive yet comfortable backpack to carry their discs around the course. 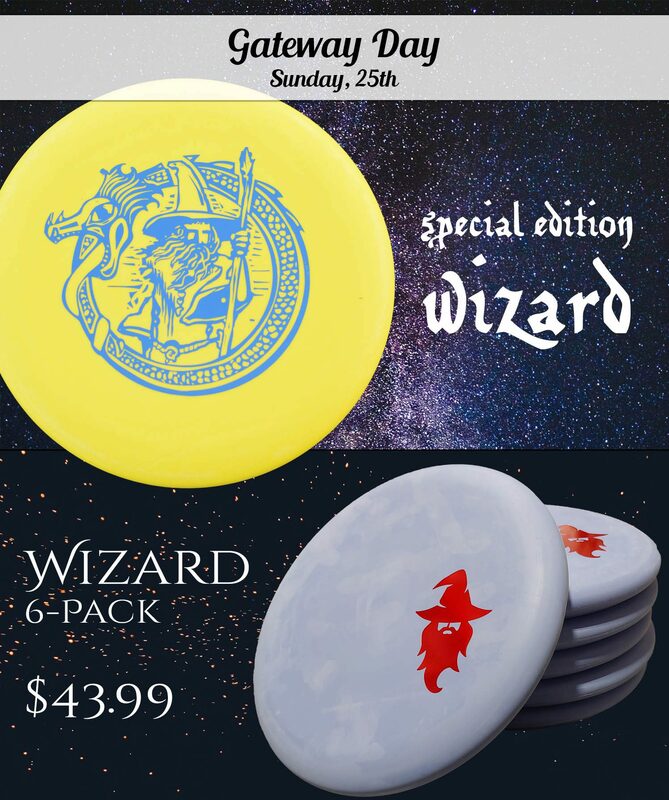 Thought it doesn’t come with a lot of extra features, it covers all of the baskets and is perfect for players who have over a dozen discs and want a way to carry them inexpensively. 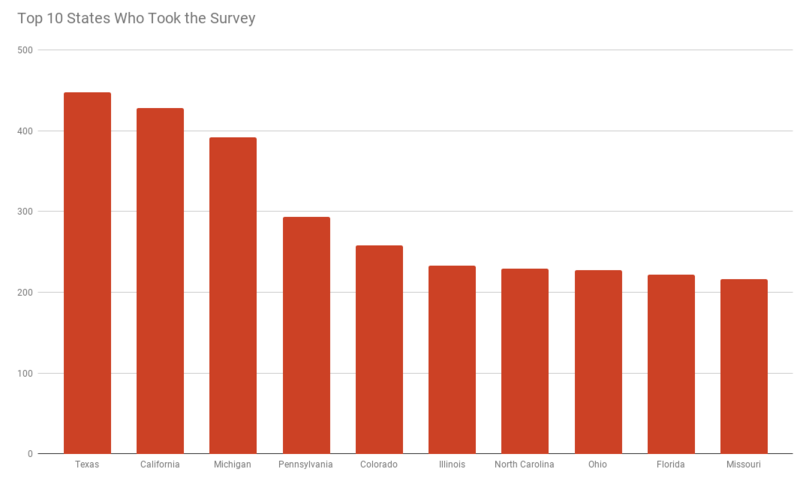 Disc Golf Books — While there haven’t traditionally been a lot of books available for disc golfers, we’ve been hunting some down. They always make an interesting, less expected gift. 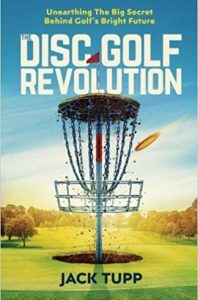 The newest addition to our small book selection is the new DISC GOLF REVOLUTION by Jack Tupp. This is a book that presents disc golf’s irrefutable case as the ideal sport for the 21st century. 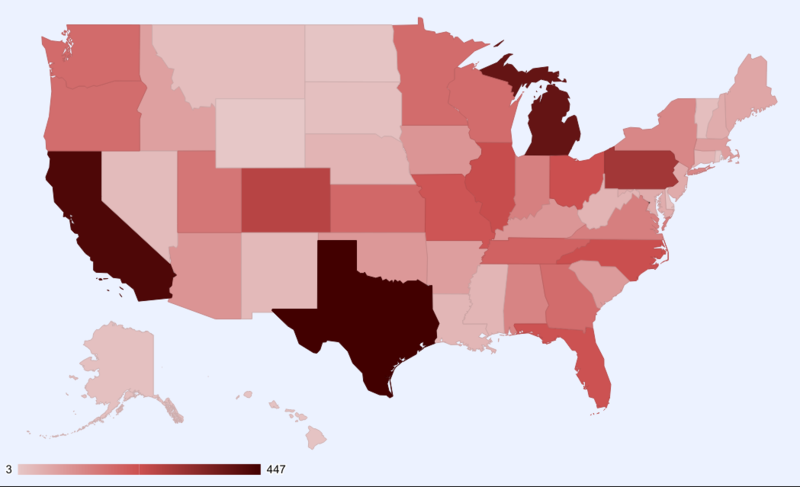 If you see yourself as part of the ‘Grow the Sport’ movement, The Disc Golf Revolution is for you. Keep it on hand and give copies as a gifts to those who needs to know the full story. Pro Tour Trading Cards — These fun cards are a great surprise for any fan of professional disc golf. 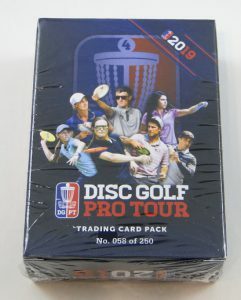 There are 9-card booster packs as well as 65-card decks and they carry a mixed variety of cards featuring the top professional players, top courses, and top disc golf awards. Plus they can be traded with other pro disc golf fans to build a complete collection. You can buy several boosters to pass around to all of the disc golfers in your life. Disc Golf Towels — Towels are frequently needed by disc golfers to keep their discs dry, and we’ve got a variety of different towels, from lightweight to thick and absorbent. They can easily be stuffed into any stocking. 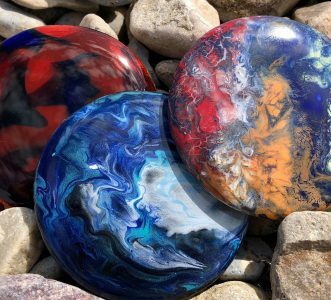 Pyrohyzer Glass Mini Discs — Another fun product that Infinite Discs started carrying this year is the unique glass mini discs by Pyrohyzer. Each mini is handmade and entirely unique. 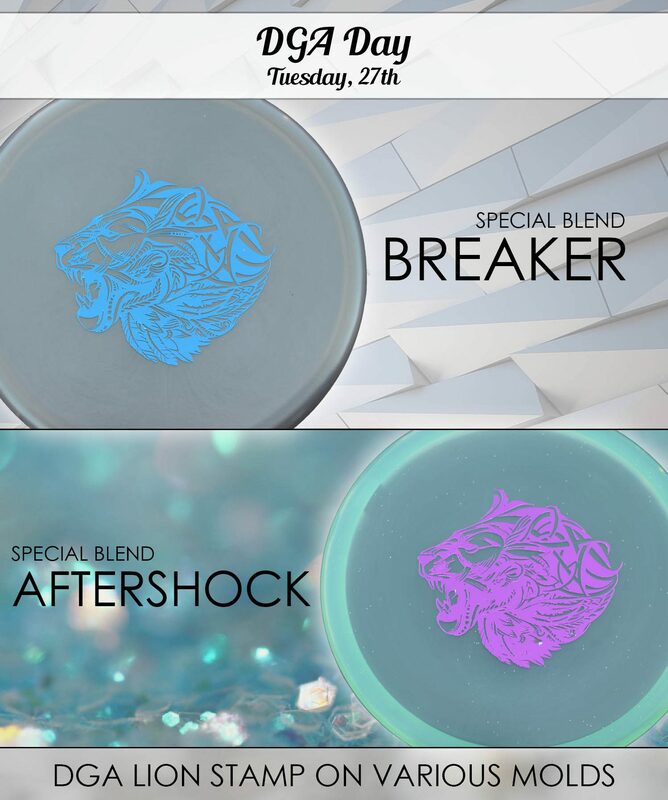 The prices vary depending on the amount of extra features, like “shatter” patterns, swirls, glow-in-the-dark, and etching. Though these glass minis are nice enough to display, they can be used as mini markers during disc golf rounds. They’re definitely a top-notch gift idea that fits into the stocking. Also available in MICRO MINI sizes. Stress Mini / Knee Pad Mini — These unique mini markers were designed to take away your stress before or after putting by squeezing them to your heart’s content. 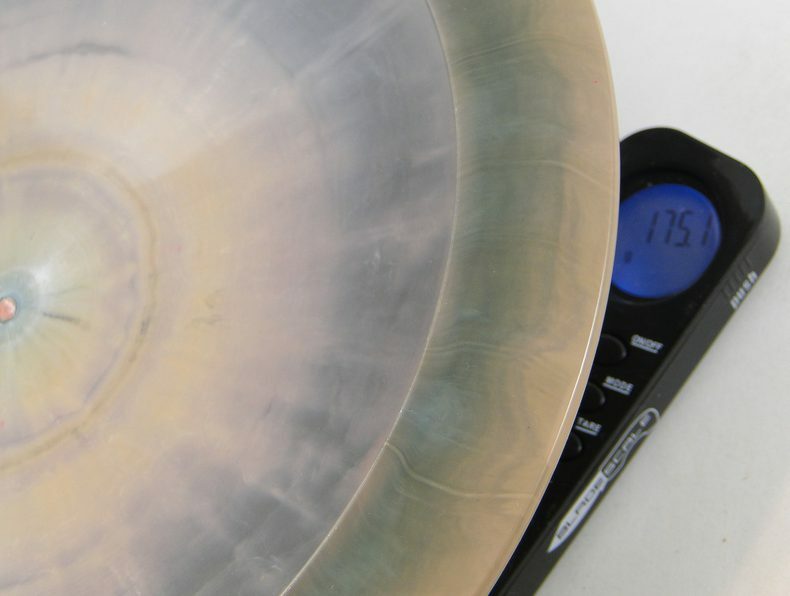 They squash into your hand but are sized just right for marking your disc’s lie. But they’ve also become quite popular as knee pads during rounds when players need to kneel on the hard ground to put from under a tree or out of shrubs, etc. Thus they have become a multi-purpose mini disc. Plus, they fly nicely too if you want to play a fun indoor or outdoor came of catch. Whale Sac — These little, hand-sized bags are filled with clay to help players dry their hands during disc golf rounds, particularly when it is hot and fingers can lose a grip on the disc. While there are many similar grip-enhancing bags like this on the market, the Whale Sac has been one of the most popular because they are produced by professional disc golfers, and they feature a cool “tail” to use for tying them onto a bag, backpack, or cart. Pocket Discs — Every year we see an increase in sales for Pocket Discs because they are such a fun little idea for disc enthusiasts to throw around the house. 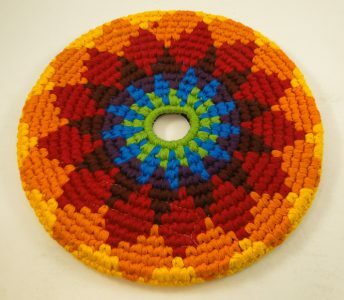 They fit in the stocking, or in a pocket, and are hand-woven as a floppy, soft, catch-and-throw disc. 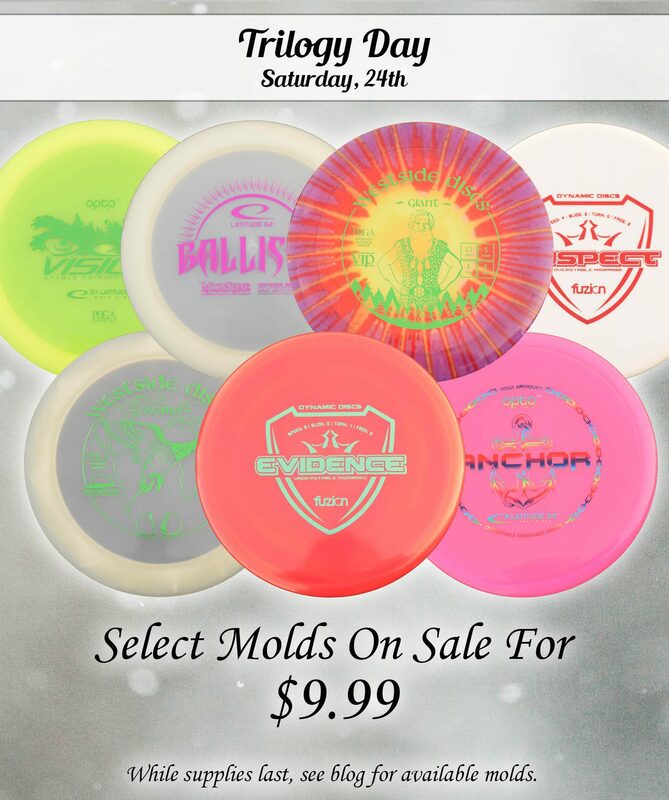 There is a regular sized indoor pocket disc for $9.99, or a larger, heavier “El Grande” pocket disc for $19.99 if you want more distance and higher performance. Friction Gloves — While these might appear to be somewhat expensive gloves at first glance, they are actually worth every dollar for disc golfers who want to play when it is cold outside. 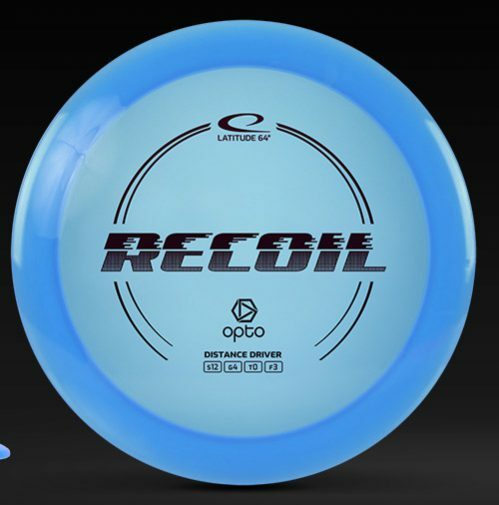 They take the bite out of the cold air, but more importantly, they provide extra grip on the disc, even when the plastic is wet. That way, disc golfers can play in the gold without taking gloves off to throw and putting them back on again to warm up. If you don’t want to buy a pair of the Friction Gloves, they are also sold separately for single hands, so that the throwing hand can have the enhanced grip. E-GIFT CARD — Delivers a code to the specified email address which can be used to purchase product on the website. PHYSICAL GIFT CARD — We ship a plastic gift card to you so that you can wrap it, put it in a stocking, or hand it to the recipient. 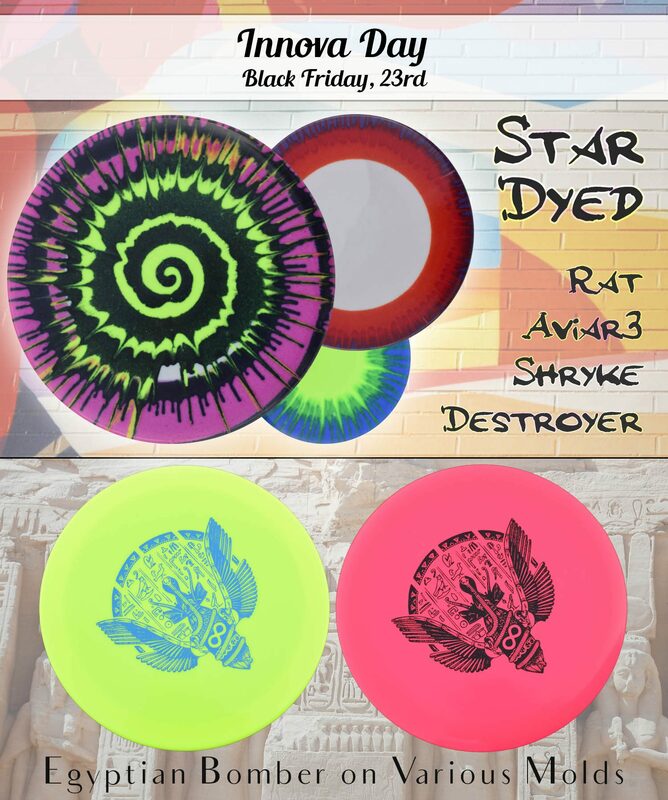 Please post in the comments below about your ideas as ideal gifts for disc golfers. We’d love to know, and there are other shoppers out there who are looking for great ideas. 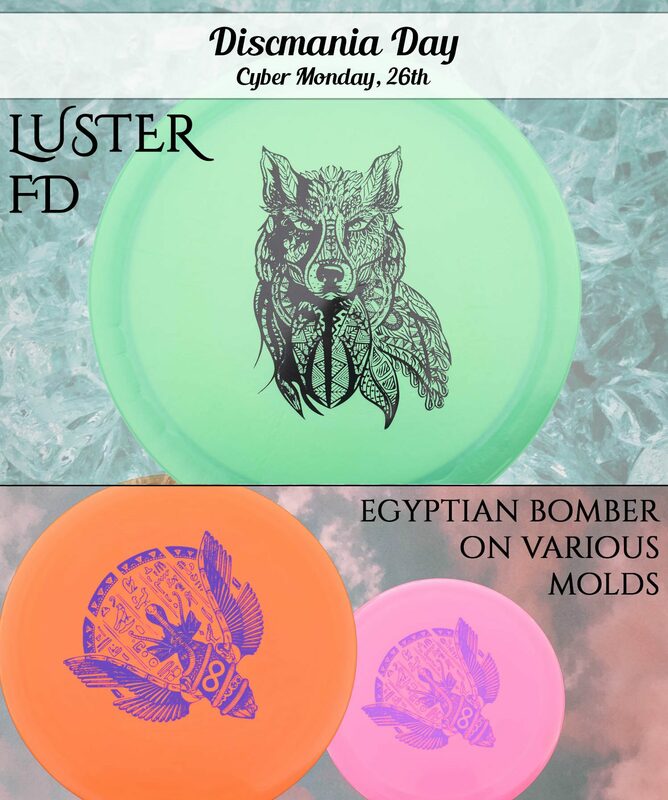 We randomly selected a winner for a PyroHyzer trophy disc from the comments. Congratulations, Blain, for the win! We’ve spent a lot of time preparing some very special Black Friday deals for 2018. But, as usual, the sale will actually go for an entire week with different days focused on different brands. During each brand’s special day, all of their discs will be discounted, but we’ll also have special featured discs while supplies last! 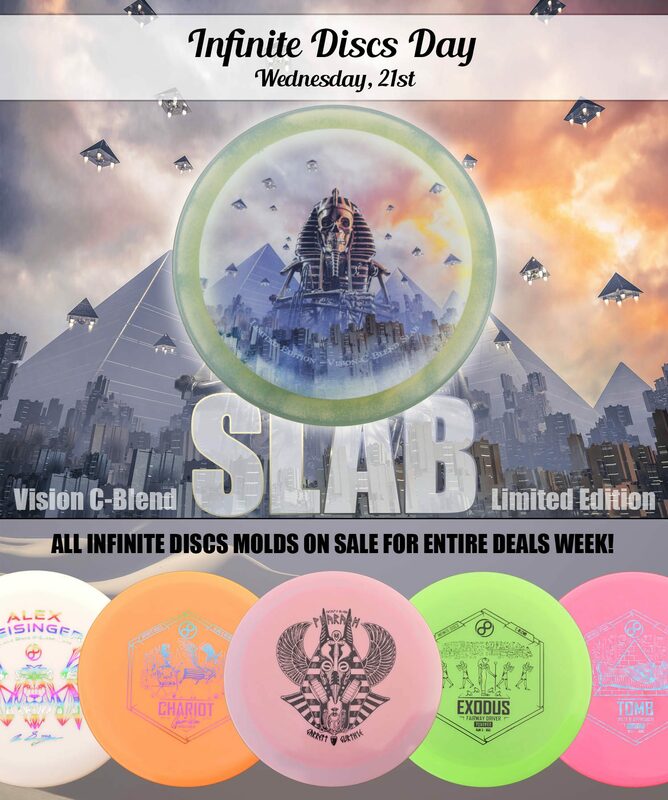 We’ll also have some items on sale all week long, including the Infinite Disc brand discs which will remain on sale for the entire event. Here is the schedule, and the full ad for your enjoyment. 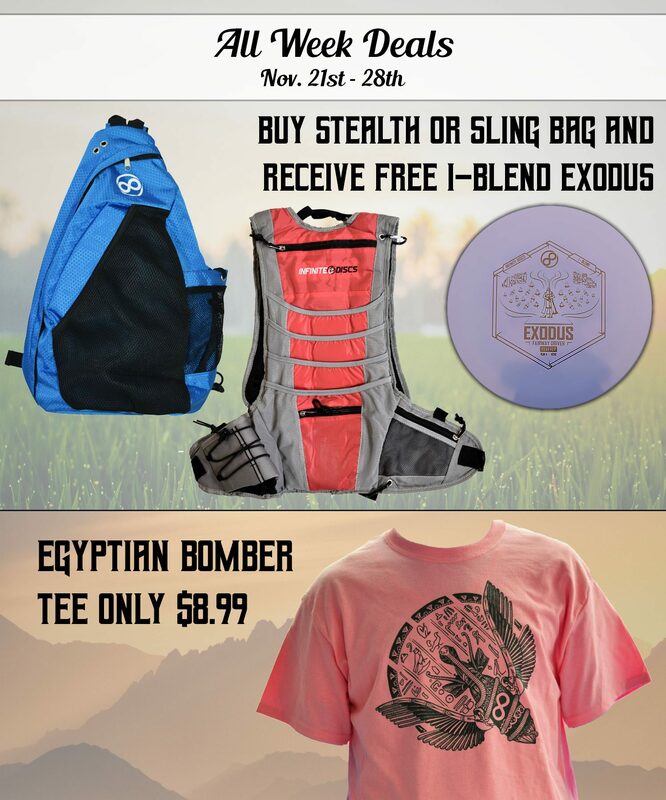 Now you can plan your week of disc golf shopping! 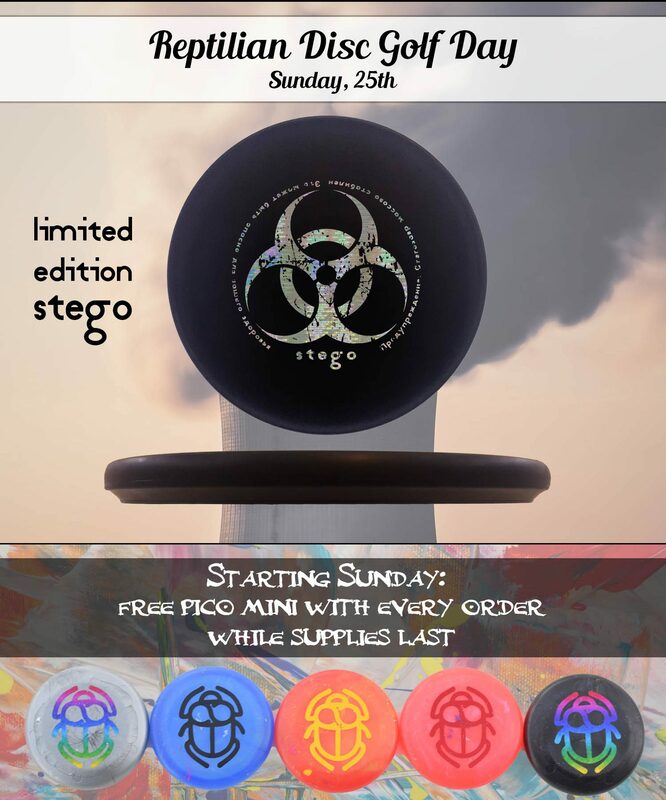 PLEASE NOTE: Special Edition discs will release on the day when their brand is featured, and they will release at midnight. 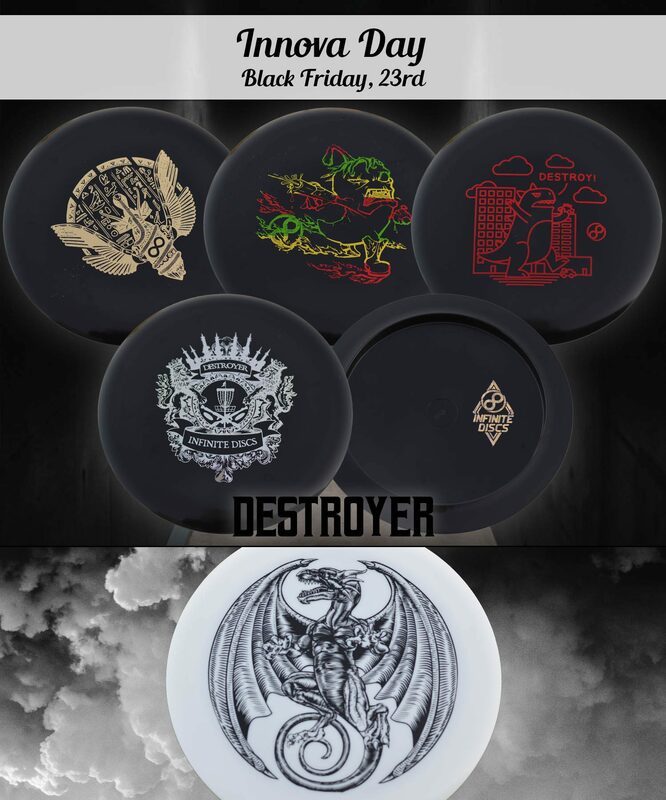 For example, black Destroyers will be released on Black Friday, but will show up on our website on Thursday night, at midnight (East Coast time zone). 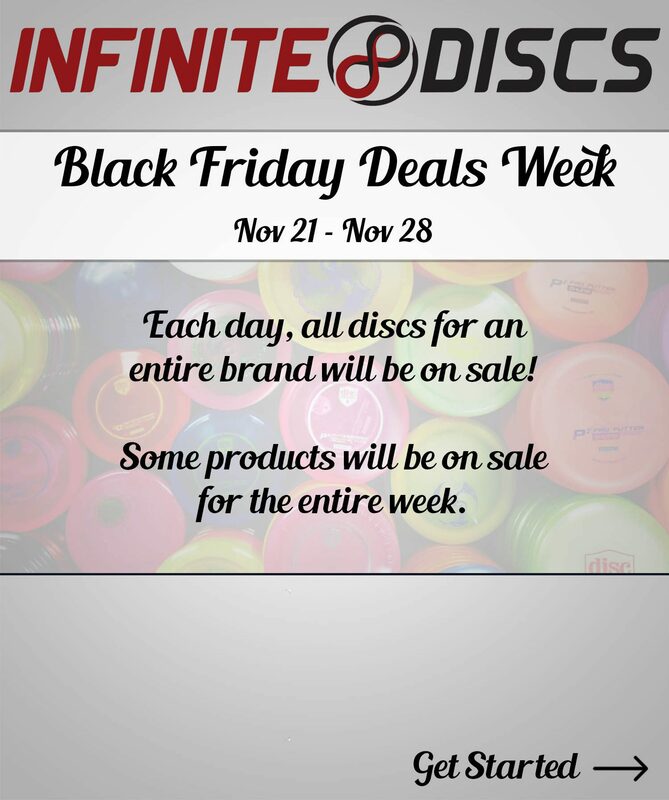 You can check the Infinite Discs BLOG each day to get direct links to the discs that are featured, plus any additional details for that day. So, check back!